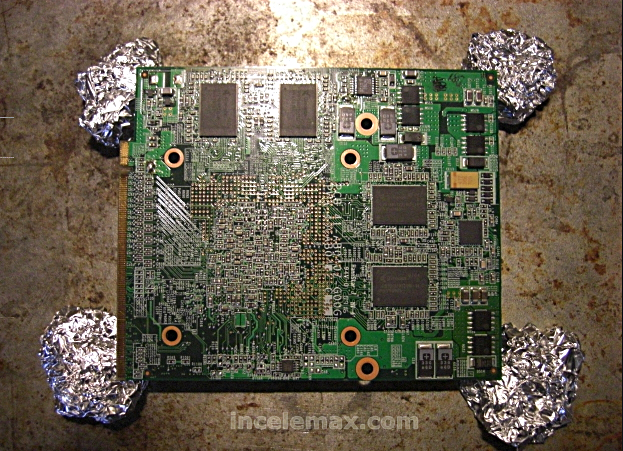 How to repair your graphics card by baking it! To buy, you do not need a new graphics card, which can be expensive and is just waste! 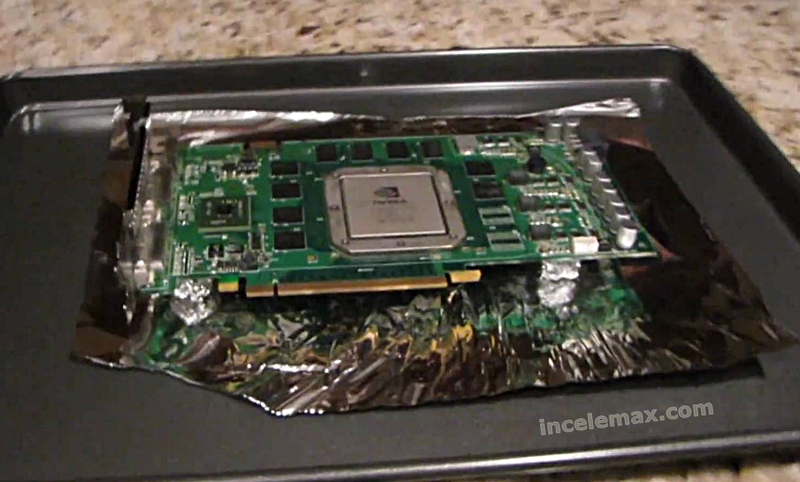 How to fix your video graphics card by baking it! My video card is GT a Nvidia Geoforce 8800. Wavy lines showed up on my computer! 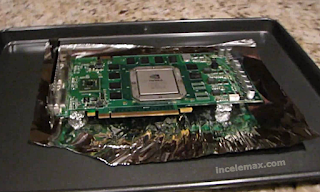 Remove the video card from your tower, remove the screws, clean the thermal compound paste with qtips and alcohol, place the card face up on 4 tinfoil balls on a baking sheet, foil, in the oven to 375ºf and bake for 10 minutes. Remove from the oven and let it cool for 30 minutes. You put the video card back and put you back in your tower, you start your computer, cross your fingers and hope for the best! This worked for me, no guarantees that it will work for you! Be sure to use potholders! Wie zu reparieren Ihre Grafikkarte durch Backen Sie es!